Grainger Public Relations » Perthshire Property Bosses Have Spring in Step! Perthshire Property Bosses Have Spring in Step! 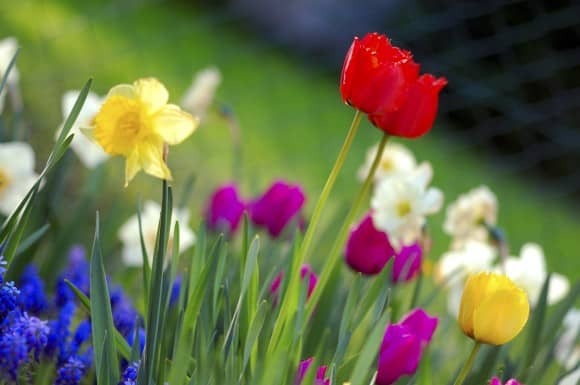 Perthshire property bosses are welcoming the onset of Spring, with ‘very promising’ statistics from the first quarter of 2014. Staff at Perthshire Solicitors Property Centre truly have a ‘Spring in their step’, as they announce a first quarter sales total of over £30M. Having sold a total of 184 properties since the turn of the year, the average price tag achieved by PSPC member firms is £167,207. The figures are a strong improvement on the first quarter of 2013, when 160 properties changed hands at a combined value of just over £24M, with the average home selling for just over £150,000. To tie in with all things fresh and new, the new look PSPC is also now open for business. The Spring transformation has seen the entire front-of-house re-styled to ensure a better service to visitors, as well as a new Prestigious Properties corner, two touch-screens and vastly improved display stands where PSPC’s vast array of properties for sale can be viewed. Anne Begg, Manager, PSPC said, “We are delighted to see, in black and white, the very promising sales statistics from the first quarter of the year. They show that the market has most definitely turned a corner, with significant sales increases and, crucially, strong evidence that all property types are performing well.